« Stitching the blocks together! All that progress doesn’t look slow to me! I love how the hand quilting is coming along, as well as the Hexie quilt! Are you short of blankets or something? Relax, and enjoy making all of those stitches – your quilting looks fabulous! It will be so worth it! Your handquilting is gorgeous! And love those hexies! This quilt is just beautiful and now with the hand quilting. You do such beautiful work. A gargantuan task quilting the Baltimore but oh so worth it in the end. Your echo quilting looks wonderful! I am doing some of that myself at the moment and really enjoying it – so nice not to have to mark isn’t it? Look at it this way…doing the applique was probably making you hyperventilate at some point, too. And, here you are today with that glorious top. The quilting is fantastic so far. As my husband says, break it down into parts. When you finish a block do a happy dance as if you finished everything you’ve been working on. Next day, start a “new” project, aka, the next block. Go you!! 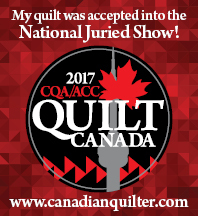 Your quilting looks fabulous, I adore the look of echo quilting. It’s so worth that extra time, enjoy. The hexies are growing fast, love the peek of the blocks on the design wall. I have a question. I always quilt on a large stationary frame. However, since you are quilting on a portable frame, do you have a problem with the basted quilt shifting? How large is this particular quilt? I adore your applique quilt and the beautiful hand quilting you are doing on it.